A lot of people I know who like Italian food love pasta. 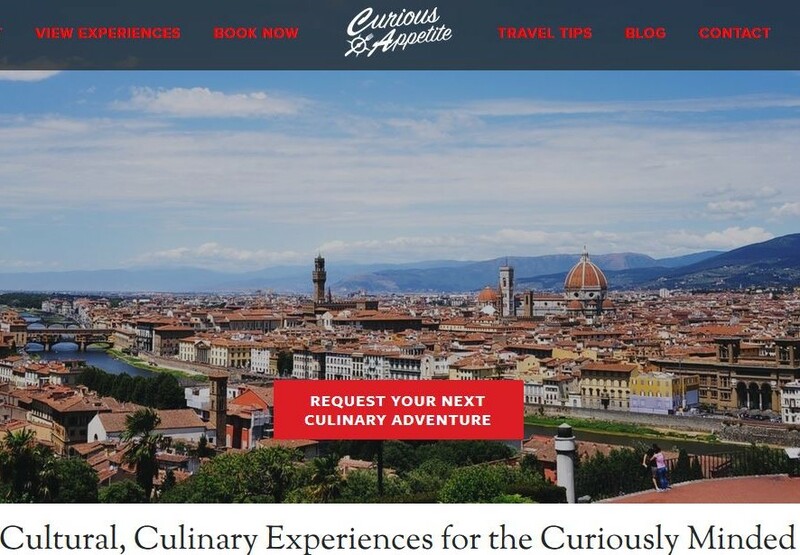 It is the cornerstone of Italian cuisine, it is what makes Italian cuisine, at least modern-day Italian. I go through phases of shunning carbs and gluten but during the winter months like January and February- I can’t seem to help myself. Recently I have had to attend some culinary dinner events which included pasta making top chef-like challenges. So after one weekend of an event I borrow a pasta maker because I’m really curious if I can do it on my own after observing it at these events. All I gotta do is look up a recipe, give me a machine and I’ll figure it out, right? So I call a pal to see if she is game for an afternoon of pasta making. 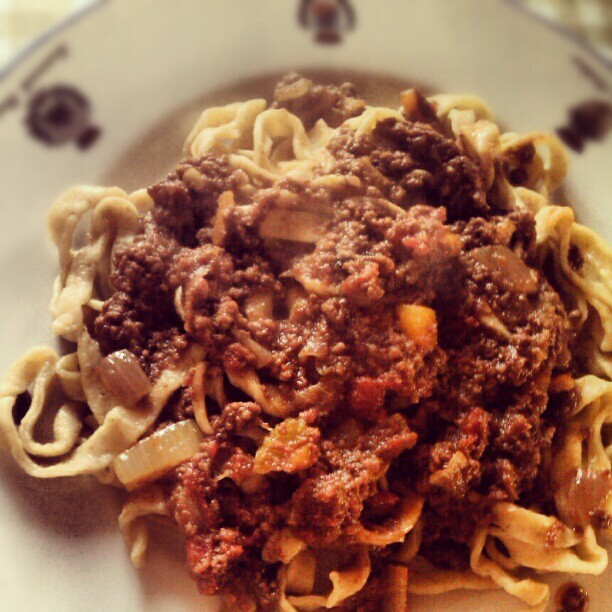 She trumps my request by adding that we make our fresh pasta with a ragù of cinghiale (aka wild boar ragù). The game is on. The night before I was excited. I told some Italian friends about my plans for the next day, they seemed impressed and respond by saying basically how weird is it that a couple of Americans are making something that Italians themselves are forgetting about. 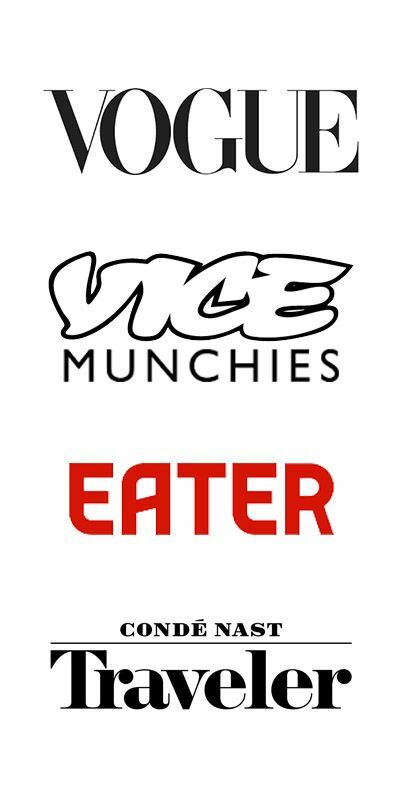 Italy is being colonized by the Big Mac meanwhile American foodies teach themselves how to make the traditional dishes their grandparents used to make. Incredible. After some trials and tribulations of finding wild boar meat in the city of Florence, my trusty sidekick succeeds in finding some from a local butcher and marinates it overnight with garlic, rosemary and wine. 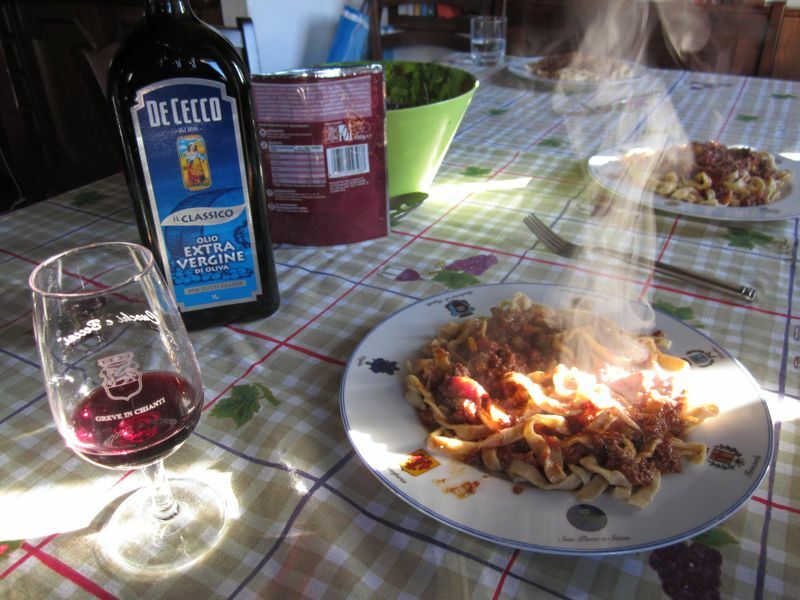 We spend about 3 hours simmering a wild boar ragù– which is basically a red meat sauce starting with a battuto of carrot, celery, onion, peeled tomatoes, red wine and ground marinated cinghiale. While the sauce is simmering we mak’ala pasta! 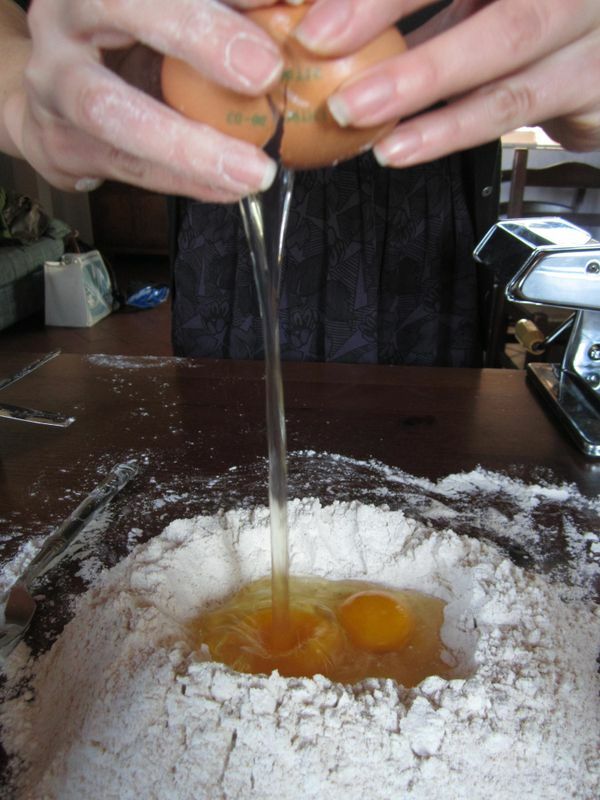 Then when you get a deep valley in your lump of flour, crack 4 eggs into it, careful to not let the lava spill quite yet. Then you put a few drops of olive oil in your egg lava nest and try to whisk the mix without letting it spill of the sides. But if it does, don’t worry. I did and the pasta came out just fine. 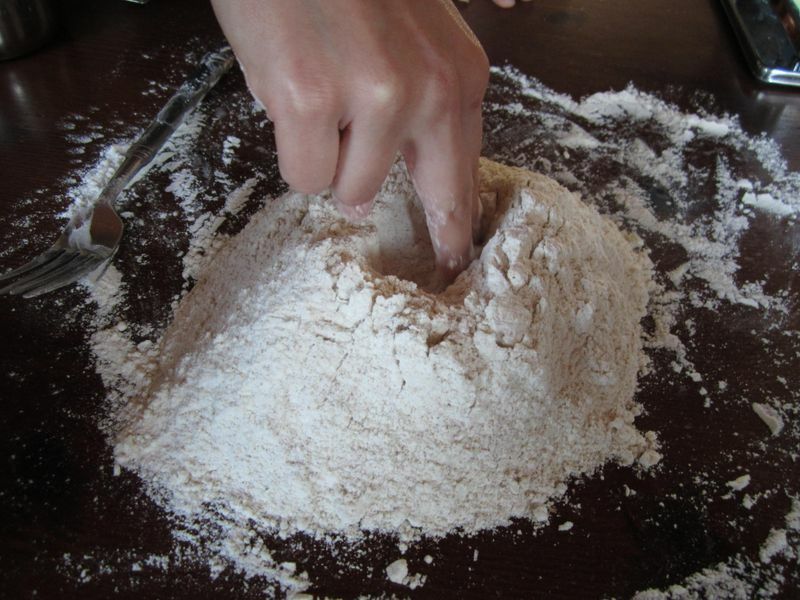 Once the lava is all mixed, start incorporating flour in little by little with a fork. 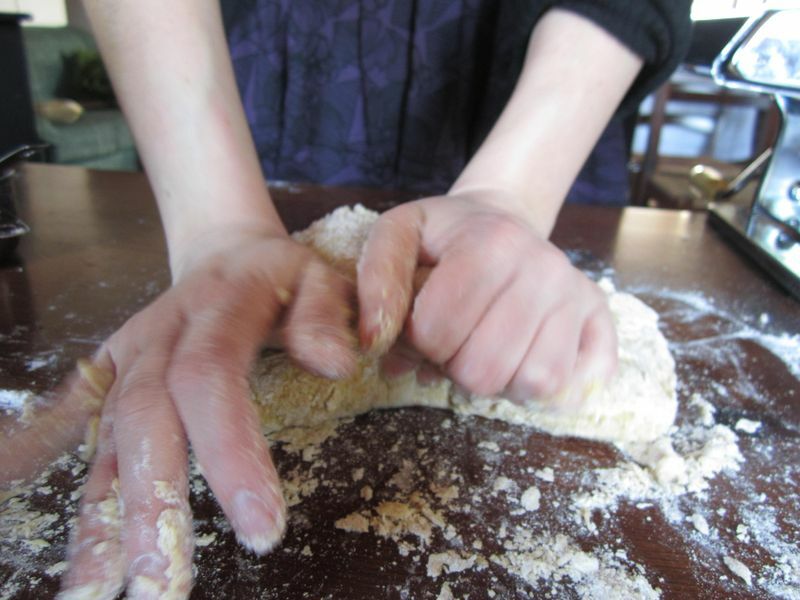 Then just say screw it with the dainty fork and just get your hands all up in it and capture all your flour and knead like crazy- pasta dough is very kneady process and needs a lot of kneading care. get it…get it??!!! It’s a PUN!!!! No? Just me? Okay moving on…. 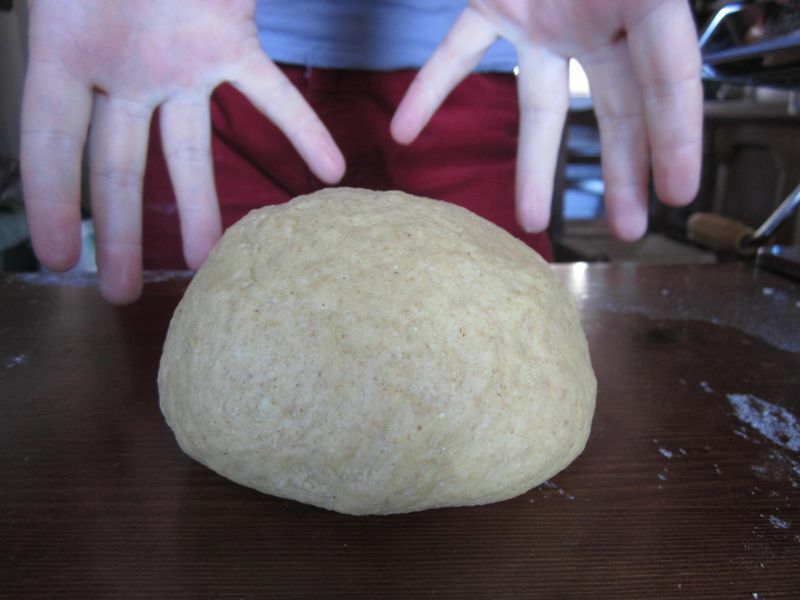 Once your dough has got all it has kneaded..(okay, I promise to stop…) Tada! Let it rest, it’s taken quite the beating. For about a half an hour. In the meantime, feel free to eat chocolate, drink coffee and sip on wine. Yep, that’s Italy! 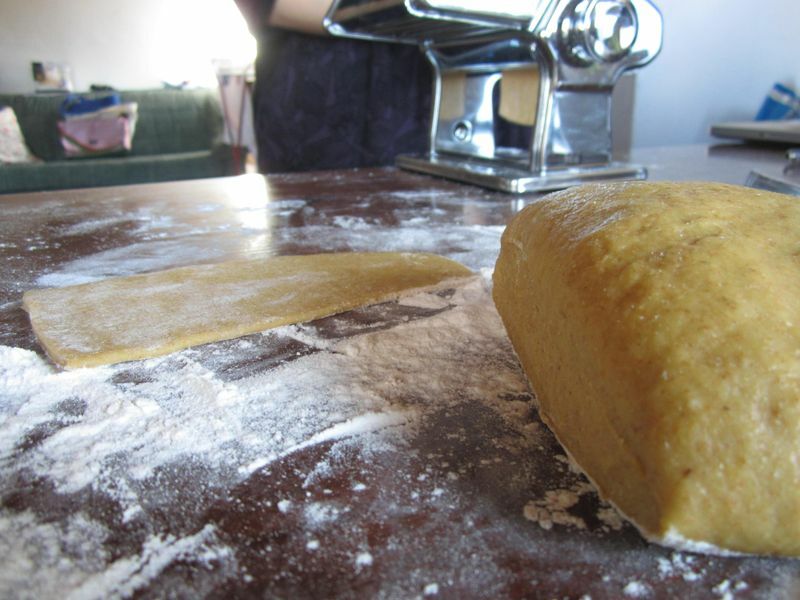 After the rest and by now I hope you’re buzzing and cracked out on caffeine…it’s the perfect time to do something time consuming and somewhat tedious- and that’s rolling out the pasta dough and cutting it! 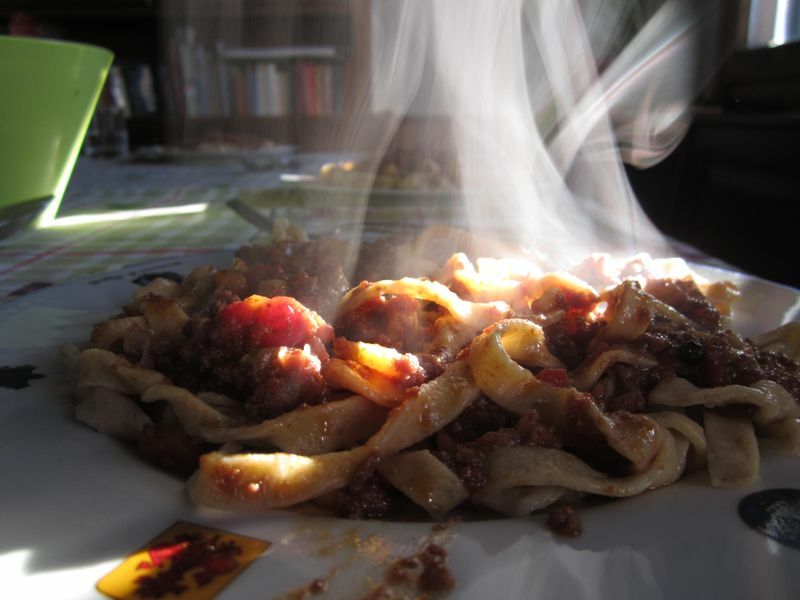 Good thing we were making a slow cooked ragù…maybe that’s why it was discovered! Maybe someone left some meat sauce on the stove while making fresh pasta and it turned into a delicious melt-in-your mouth wonder! 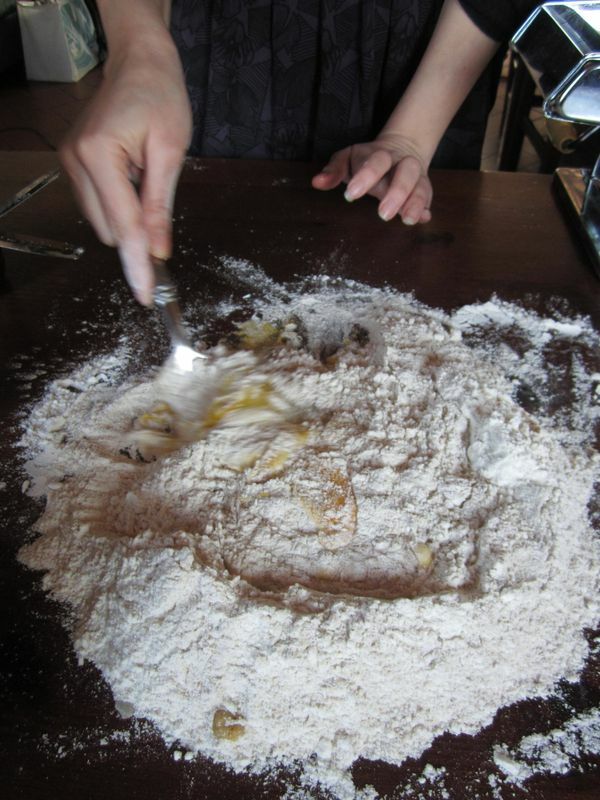 Be sure to keep your surface nice and floured as you are slicing your dough and flattening it out a bit. 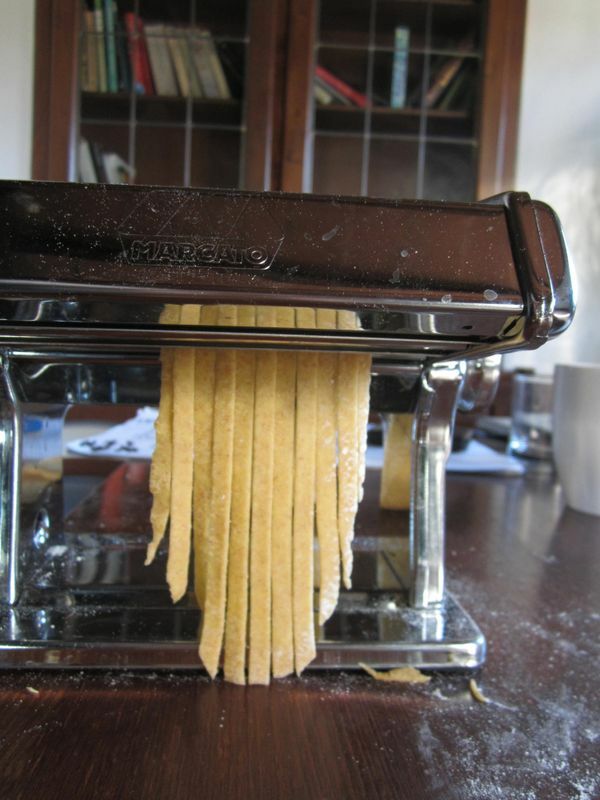 When using a pasta machine and making sheets of pasta from the dough, start with the lowest setting and work your way up to your desired thickness/thinness. 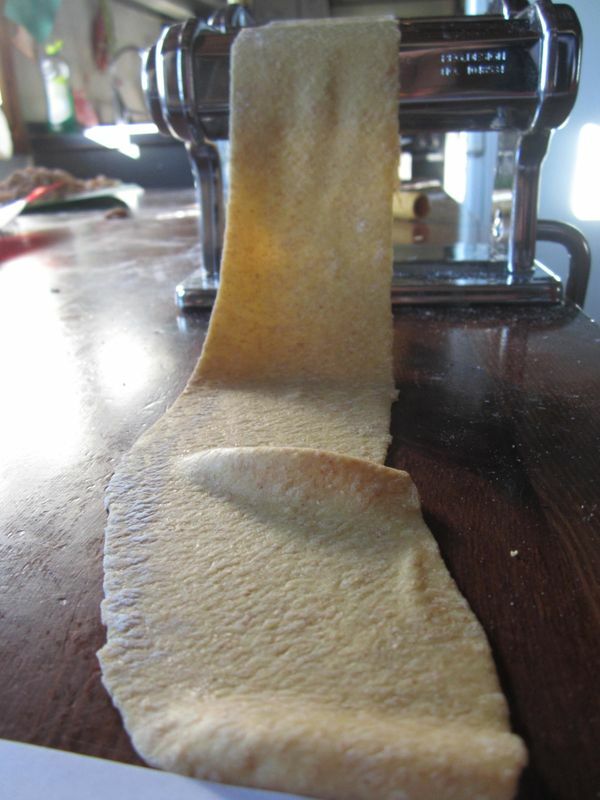 Once you make flat sheets of pasta, you put it through the cutting attachment as seen here in exhibit: z. 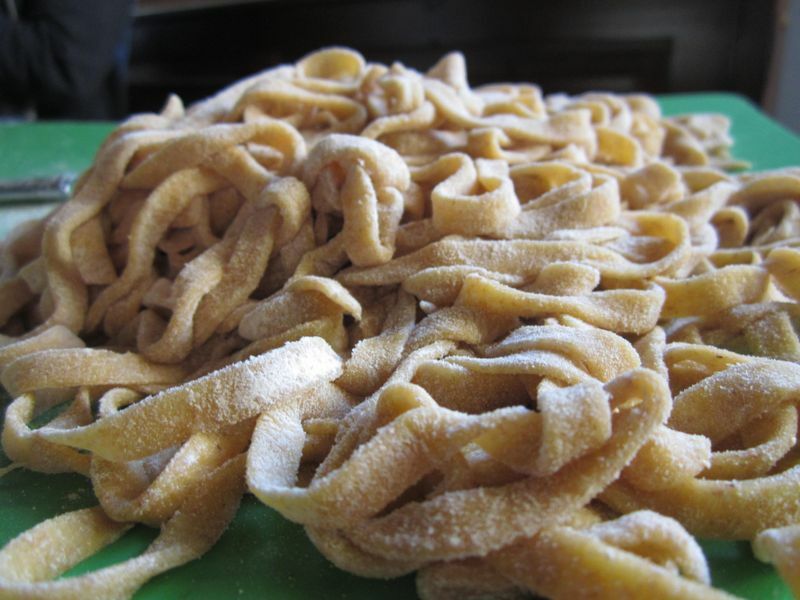 After you cut your pasta, you lay them on a flat plate-object like a plastic sheet or cutting board make sure they don’t stick together by adding a bit of flour, untangling the strands like hair. And you must have a fun face on while you are doing it. Otherwise, you’re doing it wrong. In fact, in life you must always have a fun face on. Your slow cooked ragù is almost ready. So boil up a large pot of water, add all your hard earned pasta in and cook for no more than 3 minutes. A spectator in the peanut gallery of this adventure said “how funny that something that takes so long to prepare takes so little to cook.” Deep thoughts about pasta, yes this is Italy. When your pasta is cooked and drained, pile some on a few plates and dollop a nice ladle of your slow simmered wild boar cinghiale ragù on top. Grate some aged pecorino on top and you got yourself a plate of pasta that will knock Dante Alighieri’s socks off. Don’t forget to stop and smell. Watch. Drool. Devour. Don’t forget to pair with some red wine. 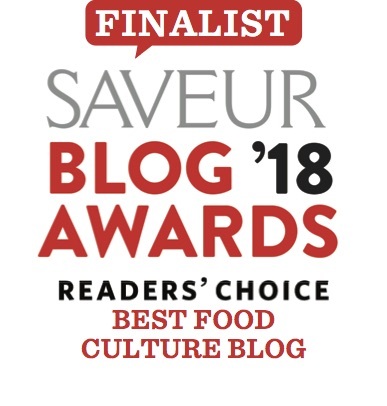 Chianti Classico, Vino Nobile di Montepulciano, Brunello di Montalcino…heck just make sure you have some goddamn red wine, preferably from Tuscany. Oh and make sure it’s daytime. Drinking during the day is totally okay. 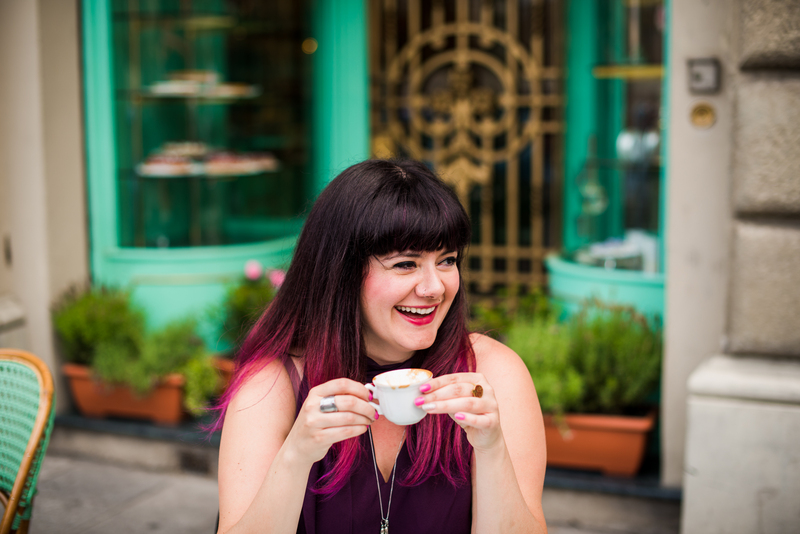 Only in Italy can you drink all day and be called a wine expert. Back home we call that a lush or an alcoholic! What a relief to live with real culture! rock on girlfriend!! great post.